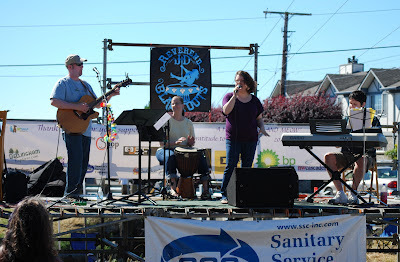 Snipfest 2, the Birch Bay Music Festival, was held on Saturday, August 4th. 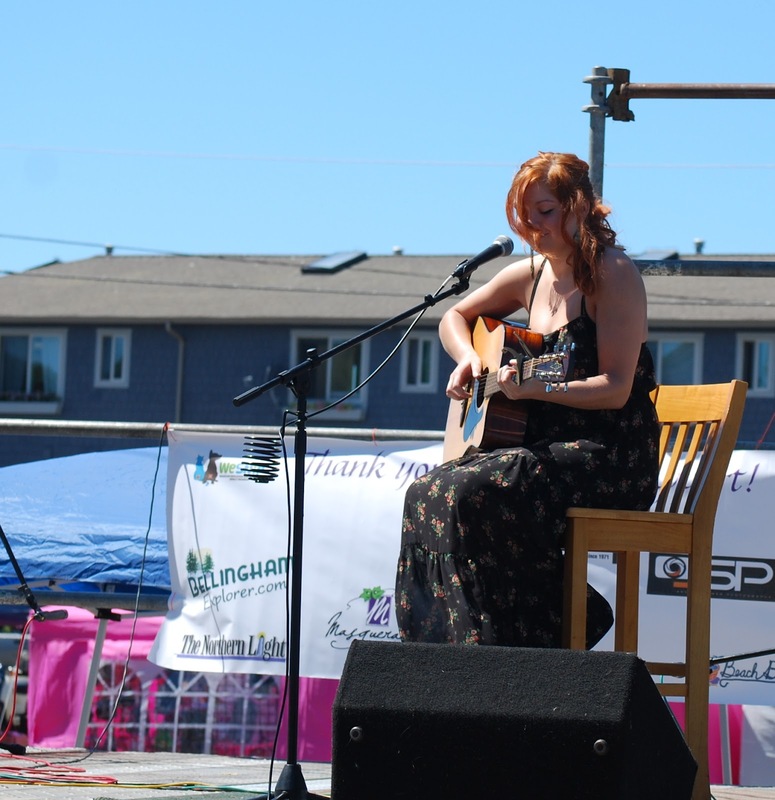 This year the festival was bigger and better than ever -- which means it was bigger and better than last year when it was first held. Snipfest 2 attracted a large crowd to an area by Terrell Creek next to the C shop and across the street from the Bay Cafe (both of whom hosted the event). The visitors browsed the booths of nearly 50 vendors, listened to a half dozen bands, and found plenty of things to eat and do. 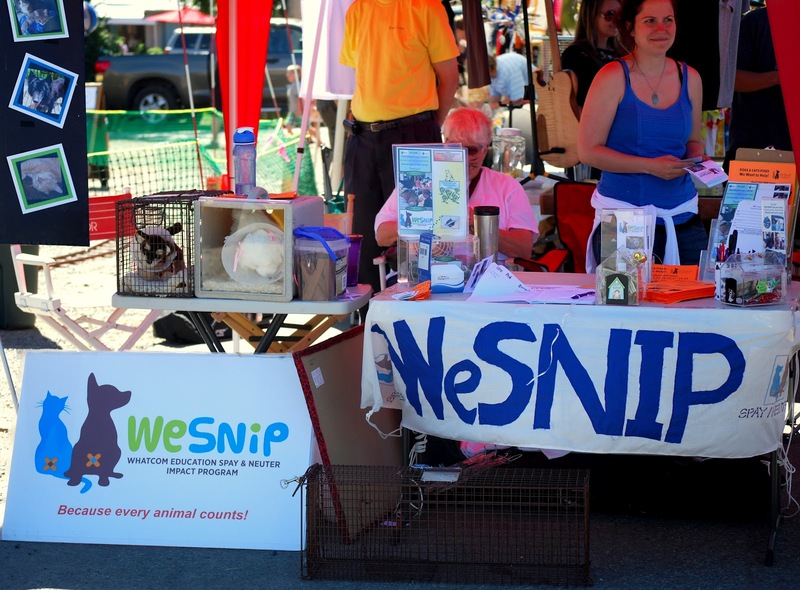 The second annual Birch Bay Music Festival was called Snipfest 2 because it raised funds for WeSnip, a Whatcom County group that helps reduce the number of stray animals in the county through a spay and neutering program. 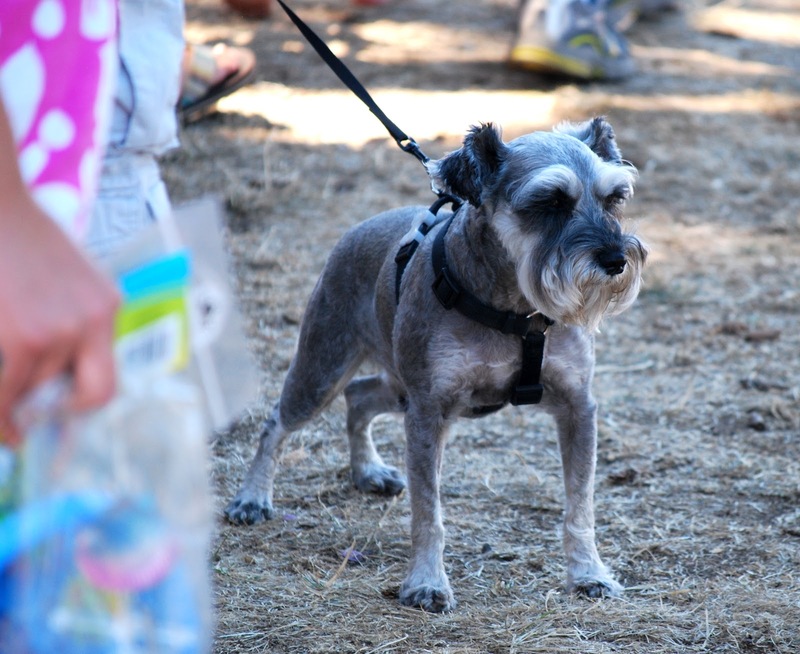 Several festival visitors brought their dogs along. 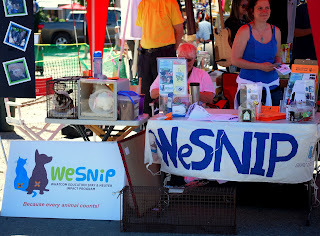 The pets seemed happy to join the crowd, but seemed a bit apprehensive when they were close to the WeSnip booth. The number of vendors was so large that some of them set up across Terrell Creek from the main music area. 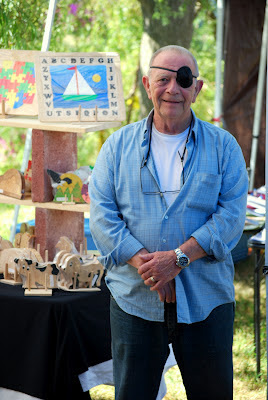 The booths sold a wide variety of items, ranging from tee shirts and sport memorabilia to exotic hand-made bird houses. Many of the booths offered arts and crafts made by the people operating the booths. Several booths were inches from my carport (where I sell books), and they offered some unique hand-made items. One nearby booth, Mac's Critters, featured wooden puzzles, maps, and other handmade crafts made by Mac Munch, a Birch Bay resident. Close by these two booths was Birch Bay market regular Levi Montgomery, an author (see http://www.levimontgomery.com/ for information about his books and his blog) who sold his novels at the booth. The neighboring booth offered some striking jewelry made by his wife. One of the new attractions at SnipFest 2 was a small railroad that offered rides for kids. The ride was gentle, which was probably for the best because the train was near the entrance to the part of the C Shop that sells ice cream, home made candy, snow cones and other delectables. The train ride was not a challenge to even the most unstable stomachs, but was a delight for smaller kids. 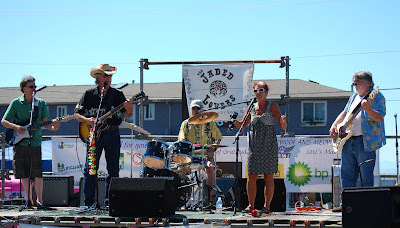 Some heavier rocking came from the Listers, a Bellingham band, (go to http://www.reverbnation.com/thelisters to hear them) and some more Southern music was heard from Jade Lovers (check them out here: https://www.facebook.com/pages/The-Jaded-Lovers/136628266408493.) 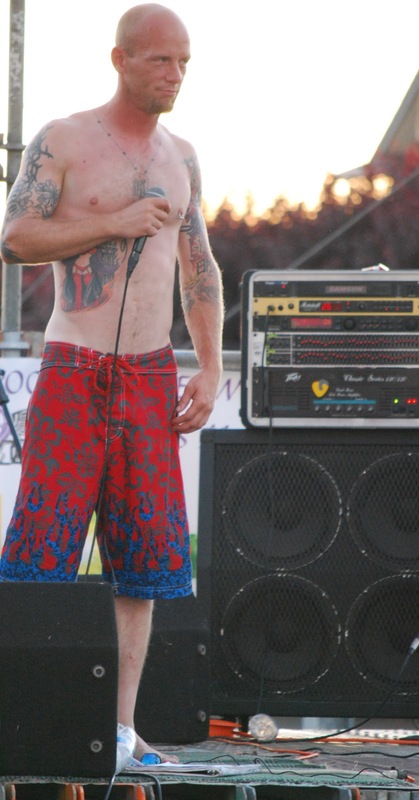 Both were in good tune. 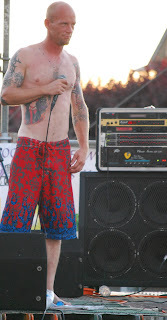 Mercifully, the festival music ended exactly at 9:00 p.m. as the dusk settled in. 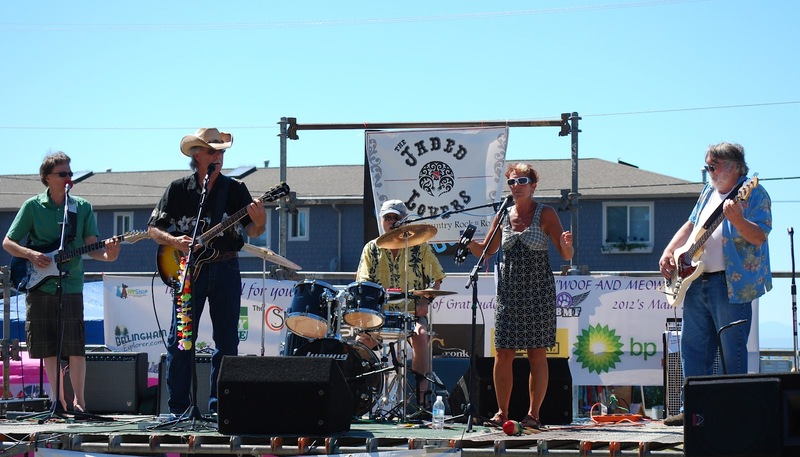 In all, it was a busy, fun day by Terrell Creek that enlivened this calm northwest corner of the United States. 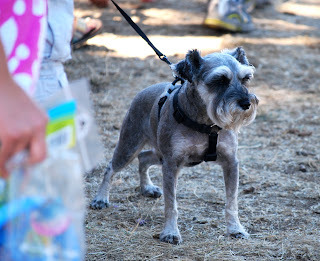 Meanwhile to the north, at the peak of the NW corner of the US, Godson Danielka enjoyed his advanced training as a pirate as part of the Drayton Harbor Days Festival in Blaine, WA. He also had a very good day.